My Precocious Daughter graduates from high school (with honors) in five days. She was nine years old when I started this blog. A baby. And now she's five days away from officially being an incoming college freshman. In honor of this beautiful, smart young woman for whom I take no credit, I'll be posting some of my favorite posts about PDaughter between now and Graduation Day. En Fuego. 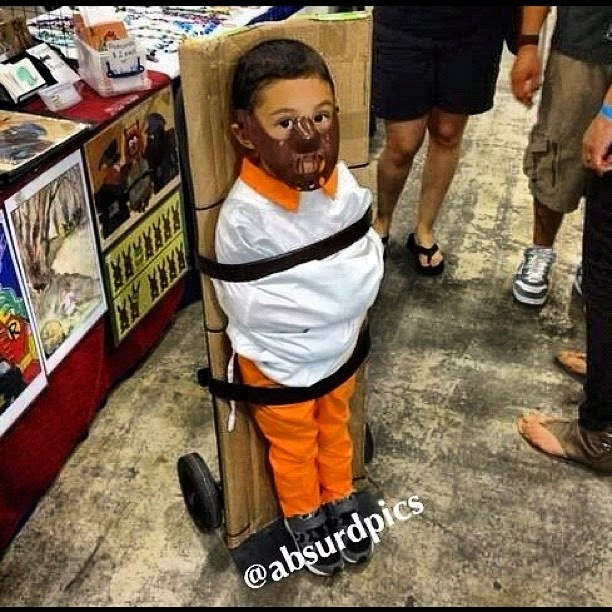 Me, Not My Kid. Today The Bloggess wrote a post called "Don't Set Yourself on Fire." The topic was: Should you specifically tell your child not to set herself on fire? Should you even have to do such a thing? Anyway, I decided I would tell PDaughter not to set herself on fire. Not that I think she would (she has a highly developed sense of the too-ridiculous-to-entertain), but I wanted to see her reaction. She's my perpetual guinea pig that way. 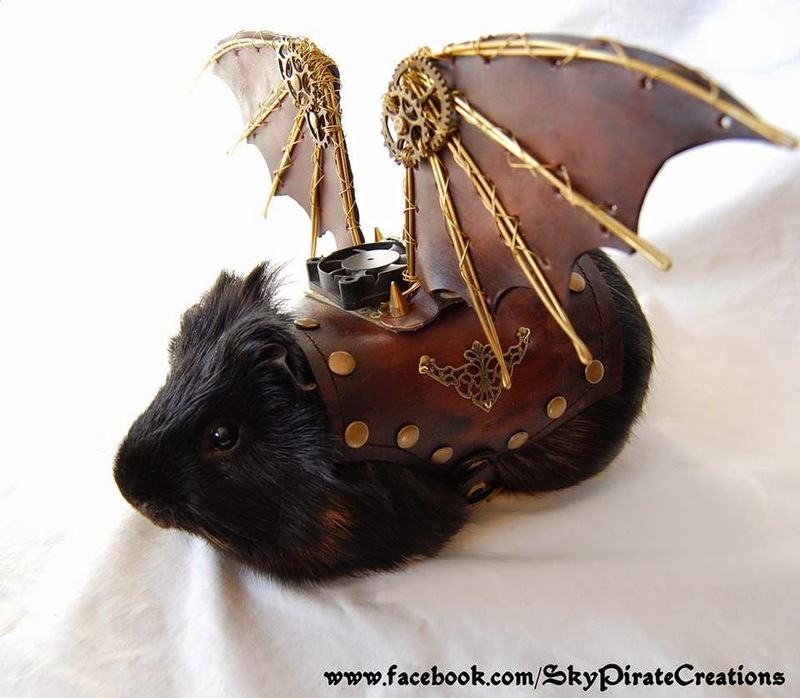 My badass winged steampunk guinea pig. Me: Wait, listen. I have to tell you something. PD (eyes slightly widening): What? Me: I have to tell you this. It's important. Me: Don't set yourself on fire. PD: Is that even a thing? Me: Yes. Don't do it. PD: Oh, is that the thing where kids douse themselves in hand sanitizer and then light it on fire? PD: Yeah. I think I've heard about that. Me: Well, don't do it. PD: Why would you even say that? Me: Because I'm being a good mom. That was kind of disappointing, actually. No tearful hugs or any damn thing. PDaughter actually didn't seem to care one way or the other about the concept of teenagers self-immolating for fun. 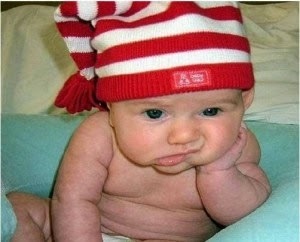 They are so jaded these days. So I decided to introduce a control stimulus, something that I was sure would get a reaction out of her. So I showed her this video clip of John Travolta singing his hit single "Let Her In" on "American Bandstand in 1977. "Is he going to dance?" "Nice shoes, by the way." "I was expecting so much more from that last note." Parents, talk to your kids about aging actors' all-but-forgotten singing careers. Dare to reach them through orchestrated pop songs from your childhood. Shake them up. Make them think. If Travolta doesn't work, try David Soul aka Hutch (or possibly Starsky) singing "Don't Give Up on Us." They'll thank you. Or they'll cower in shame. Either way, they won't be thinking about setting themselves ablaze. And isn't that what being a parent is all about? Well, sure, if you bring up the idea of setting themselves on fire, that's all they're going to be able to think about then. It's like telling someone NOT to think about a pink elephant. And now almost four years later PDaughter is thriving and about to graduate. You've done well as a parent. Although really when you show your child Welcome Back Kotter-era Travolta and one of her responses is "That hair, though" you know you've done well.